A constable was suspended on Wednesday for registering a case under wrong sections of the Indian Penal Code (IPC) in a case pertaining to the suicide of a 15-year-old school student here, an official said. The girl committed suicide on Tuesday after alleged harassment by teachers at her Delhi school, the family alleged. 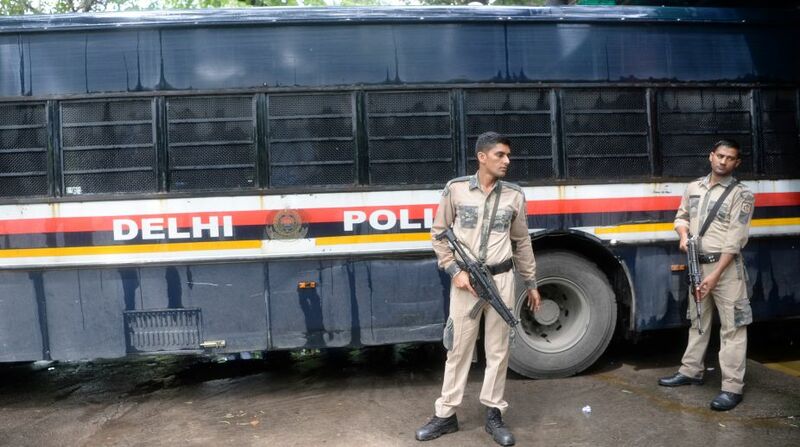 The deceased was a Class 9 student at Ahlcon Public School in Delhi’s Mayur Vihar. The parents alleged that their daughter told her that some teachers used to touch her inappropriately and she feared she would be failed for resisting their moves. She also reportedly told her parents that she was unable to focus on studies as she knew that she would be ultimately failed however hard she tried to pass the exam. The girl was found hanging at their flat in Noida, which borders Delhi, and was rushed to the Kailash Hospital where she was pronounced dead. The police have since registered a case under Sections 306 and 506 of the IPC and the POCSO (Protection of Children from Sexual Offences) Act, an official told IANS. The Uttar Pradesh Police constable was suspended because he did not include POCSO in the First Information Report, police sources said. The Principal of Ahlcon School reportedly told the police that the deceased had not failed but had to appear for a re-test, which was scheduled for later this week.